We could all use a little fun during these rainy spring months! 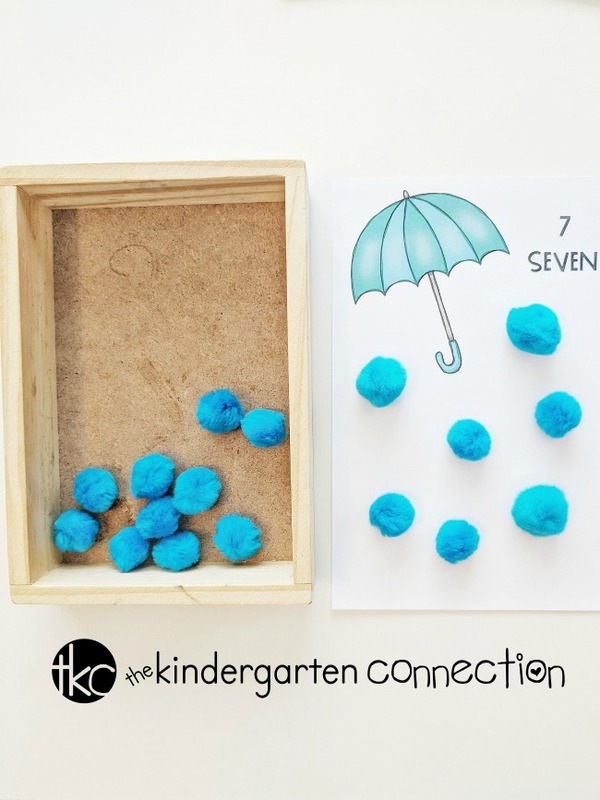 This Umbrella Raindrop Counting Activity for Kindergarten incorporates manipulatives and will liven up those math centers or independent work time! 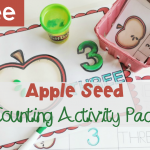 This FREE math printable is quick and easy to set up but is also very engaging! Children get to count and work on fine motor muscles with fun math manipulatives! This math center will continue to be a favorite all season long! The only prep that is needed is to download, print, laminate and cut apart the pieces. You’ll also want to grab some blue colored pom poms, play dough or other fun springtime manipulatives! 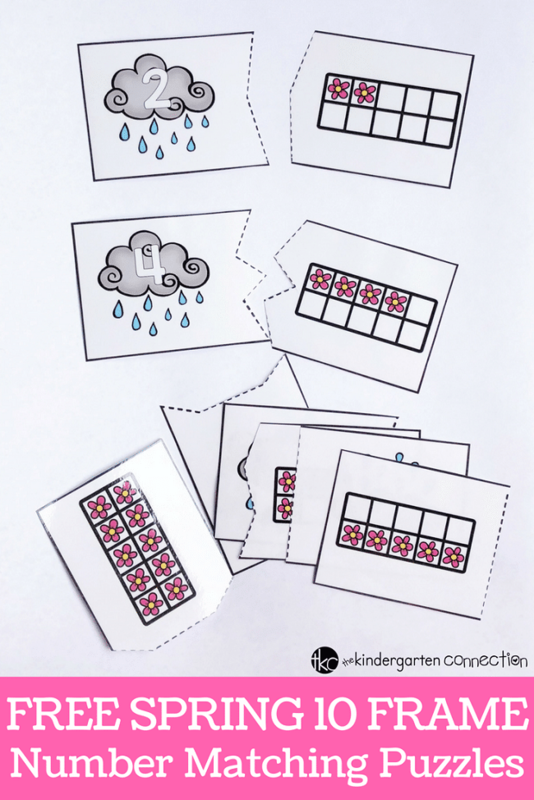 Once your printable is ready, children can count the corresponding number of raindrops with the chosen manipulative under each umbrella. 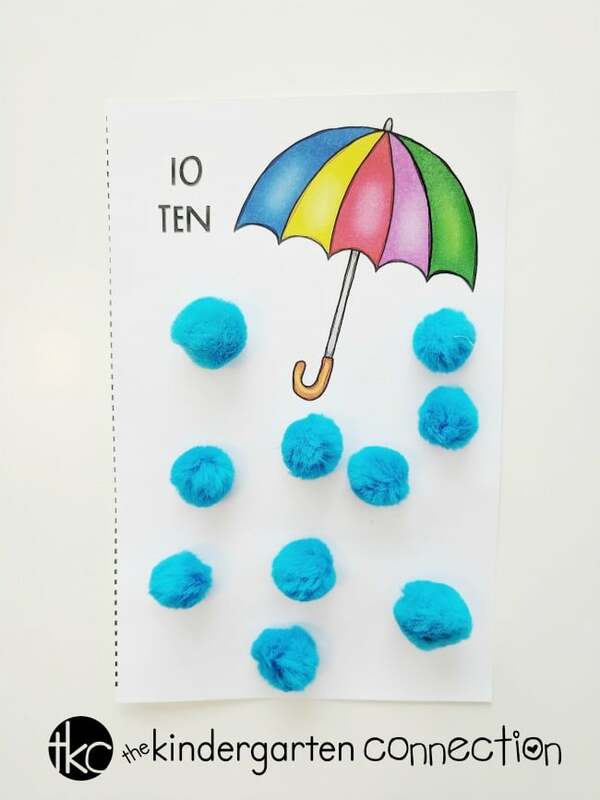 I put our blue pom poms in a wooden tray for easy access and presented the umbrella raindrop counting cards one at a time. This would a great activity set up as a math center or completed in pairs. My daughter really enjoys it as an independent math activity a home. RELATED RESOURCE: Word Problems for Kindergarten Math! Although we decided to use blue pom poms, there are so many different choices! If the activity is laminated, students can draw the correct amount of raindrops with a dry erase marker. This is a great way to reuse the activity multiple times. One final idea would be to use the printable as a worksheet and have students color raindrops under each umbrella. This would make it a single use, independent activity. Ready for some Spring math fun? 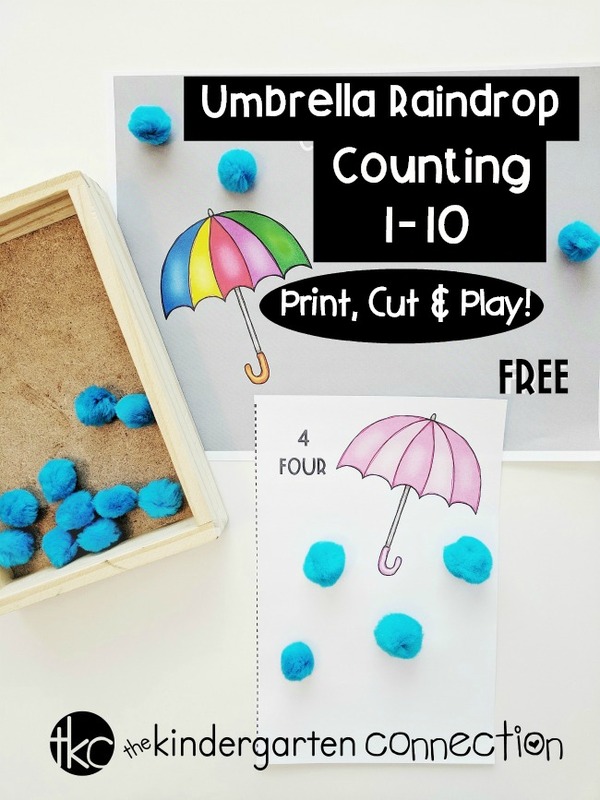 Click the large, yellow button below to download the FREE Umbrella Raindrop Counting Activity for Kindergarten! You might also want to hop on over to see our Spring Ten Frame Puzzles!